De Niro started an uproar when he chose 'Vaxxed' for Tribeca. In the ongoing clash of science and celebrity, score the latest round to the nerds. The most recent dust-up happened last month when the Tribeca Film Festival in New York pulled a documentary by a discredited ex-doctor whose research into the connection between vaccines and autism has been debunked. 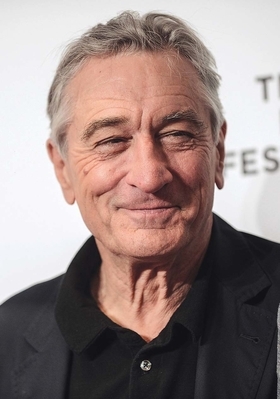 After festival co-founder and silver screen icon Robert De Niro initially defended the film’s inclusion, Tribeca—facing an uproar from doctors and experts—pulled it. Scientific research has consistently found the MMR vaccine (given to children for measles, mumps and rubella) to be safe and to have no link to autism. De Niro, who has an autistic teenage son, acknowledged he personally chose to schedule the film at the festival, which begins April 13. It’s just the latest instance of the medical community butting heads with a celeb flogging dubious science. Questions over vaccinations have been particularly bedeviling. Naysayers from the A-list (on down to the D-list) have touted their own theories, most prominently with the anti-vaccination advocacy of TV personality Jenny McCarthy.